My pictures don't even begin to do this palace justice. 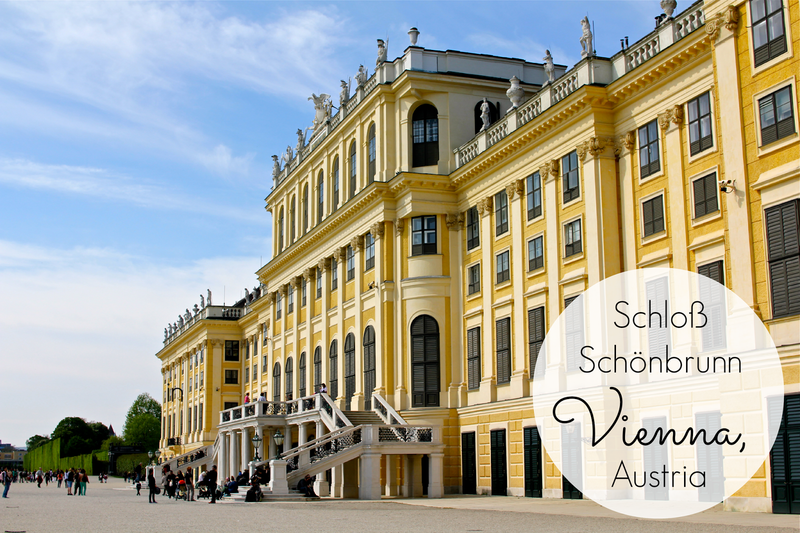 Boasting extravagant interiors and lush gardens, Schönbrunn Palace gives Versailles a run for its money. This regal estate was by far my favorite place in Vienna. My mom and I loved it here so much, we visited it twice! On our first visit, we toured the lavish royal apartments and wandered through the colorful Easter market. We came back on Easter Sunday to spend more time exploring the sprawling gardens and soak up the spring sunshine. Out of all of the royal palaces I've seen, Schönbrunn Palace is truly one of the most breathtaking. 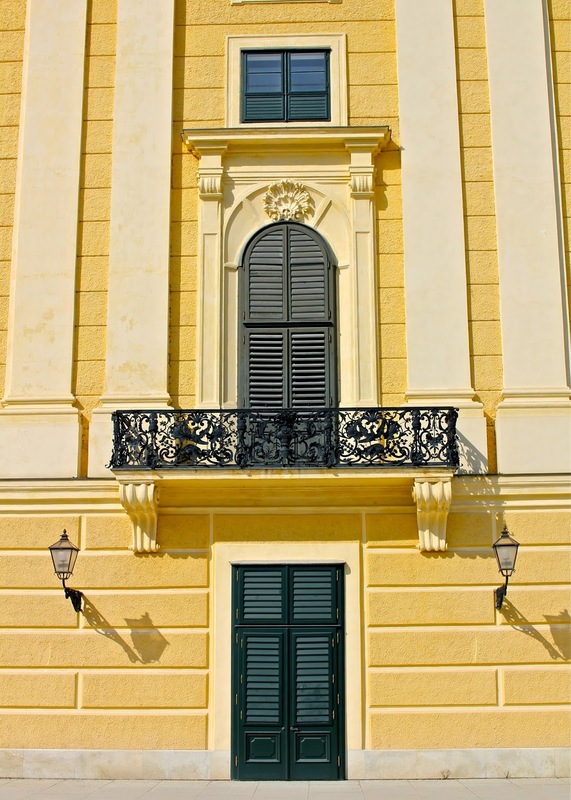 If your travels bring you to Vienna, I highly recommend this château as your number one destination! Be sure to buy your tickets in advance here if you plan on visiting during high season! 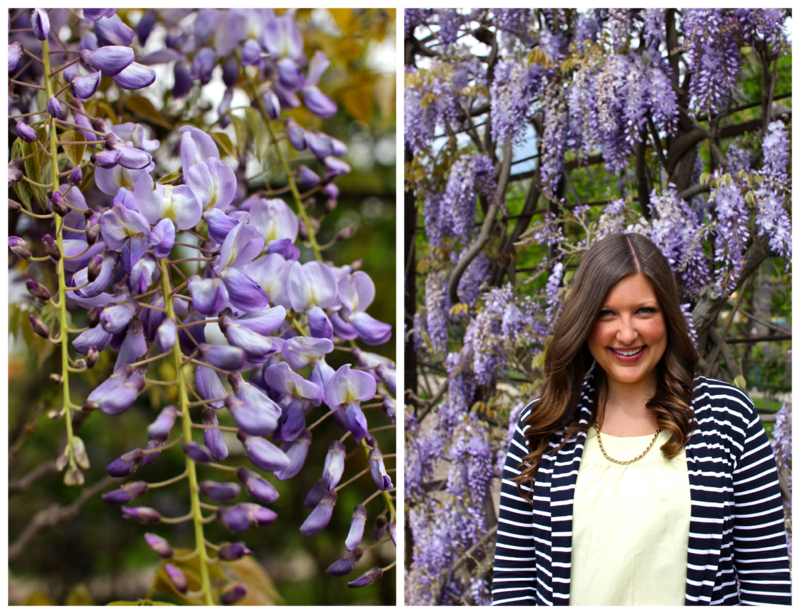 Linking up for Travel Tuesday today! 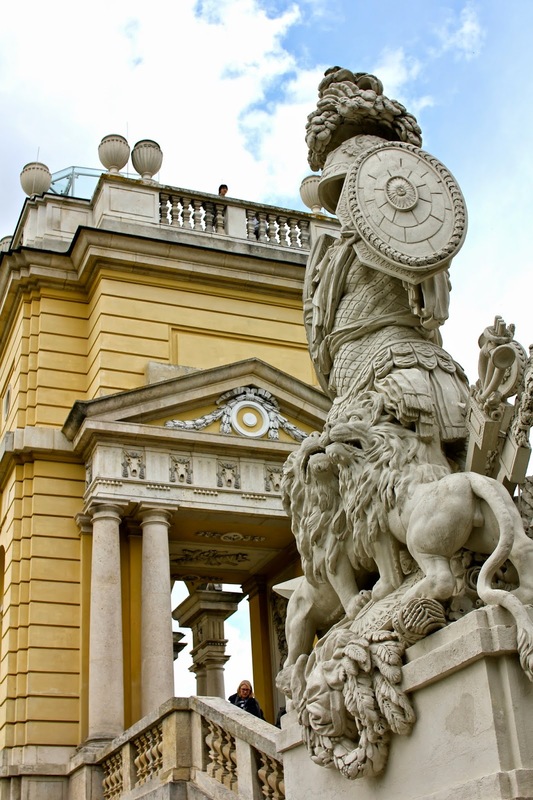 34 comments on "Snapshots of Schönbrunn Palace"
The palace grounds are beautiful! I love the photo of the hedges, like walking through a maze. The grounds are even more stunning in person, I promise! And the gardens are not only filled with beautiful hedges, but there's also a labyrinth and a zoo! It's huge! Beautiful pictures! I love to visit castles though I've never been to that one or Vienna in general....I guess I really need to visit some day! I hope you get a chance to visit soon, the Schönbrunn Palace and Hofburg Palace in Vienna are both incredible if you like visiting castles and palaces. Overall, it's truly a majestic city! Courtney, I disagree....your photos are stunning! I love going to palaces and palace gardens. Beautiful! I think your photos are great! It looks like such a beautiful place, I would love to visit! Thank you Anna! I definitely recommend seeing this palace (and the Hofburg Palace as well) if you ever visit Vienna. It's seriously one of my all-time favorites! I can't believe you said the pictures don't do it justice. I actually can't imagine it being any more beautiful than your pics! Haha thanks! I promise I didn't do that on purpose! Wow if you say these pictures don't do it justice then it must be breath-taking to be there in person! I'm hoping next year I can head to Vienna and this is making me want to go right away. It's absolutely gorgeous! Thanks for sharing! Thanks Camila! The palace is absolutely breathtaking in person. I wish I was allowed to take pictures of the royal apartments inside, because those are stunning as well. 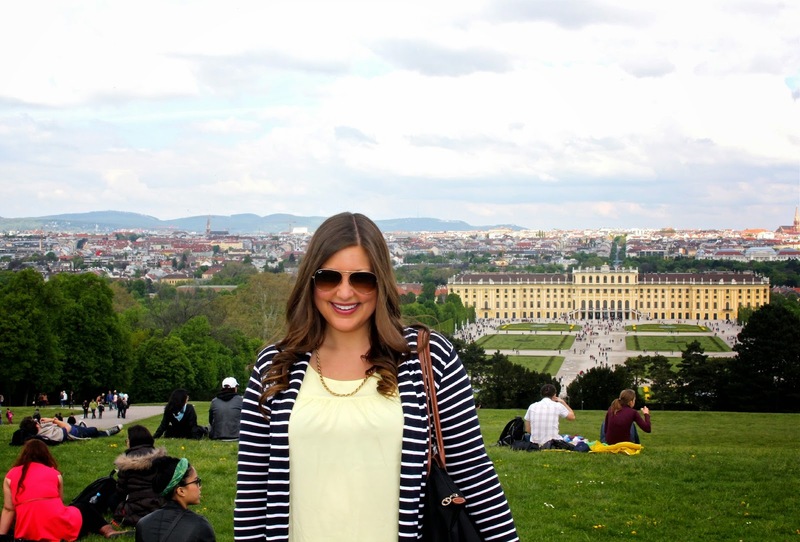 If you visit Vienna next year (which I hope you do!) definitely try to make it here! The Hofburg Palace in the center of town is also really cool. Beautiful photos! The palace looks outstandingly beautiful! My friend visited last summer and she loved it as well! And you're photos did it justice! WHat camera do you use? The photos came out beautiful! Phew-- I went to Schoenbrunn in December but now I see that clearly, spring is the season to go! Everything has come to life-- gorgeous! Did you get a chance to go inside? I haven't yet, but it's definitely on the list next time I'm in Vienna. I'm so jealous you went in December - I would love to see all of the beautiful Christmas markets in Vienna! One day ;) The inside of the palace was really stunning - but also really similar to the Imperial Apartments at the Hofburg Palace. Still very much worth the tour, though! Your pictures are gorgeous and your outfit is so in sync with the palace! It's gorgeous! That's so neat that you live in Madrid - going to follow along on Bloglovin' I adore a good expat blog! Thanks Madaline! I love your blog, I'm following you now as well! So very true! There was also a bustling Easter market in the front courtyard, which added to the cheeriness and excitement of visiting the palace! Wonderful photos, I think they do do the place justice! Would definitely like to get to Vienna soon. Thanks Jessica :) I hope you get to go soon! Beautiful photos, especially the tulips! Thanks! The cheery tulips were one of my favorite parts about the palace! I was here in June a few years ago and it was SO different - the week I was in town was chilly, over-clouded, and not nearly as beautiful as your photos with all those flowers! Oh no, I'm sorry that you didn't have that great of weather when you were there! I hope you still had a good time though!